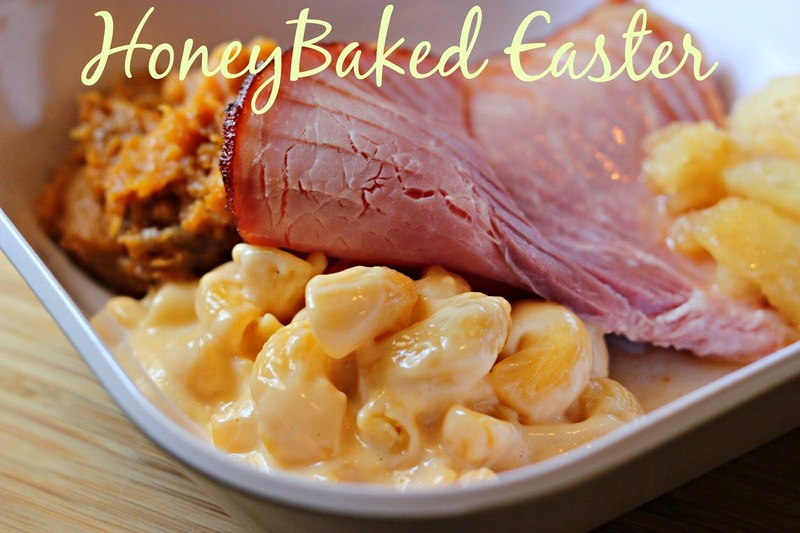 disclaimer: this is a #sponsored post on behalf of Business 2 Blogger and Honey Baked Ham Co.
Spring has arrived and that means, beautiful weather, sunshine, outside time and of course, Easter! Easter is LITERALLY right around the corner (April 20!) and as a busy, working mom- I want to spend Easter enjoying the day and my daughter versus spending time in the kitchen alll day. Don't get me wrong- I love to cook but not on holidays. I remember eating a Honey Baked Ham for the first time a few years ago and for me, it set the standard on how a ham should taste. This Easter? It's a HoneyBaked Ham for Emma and I! 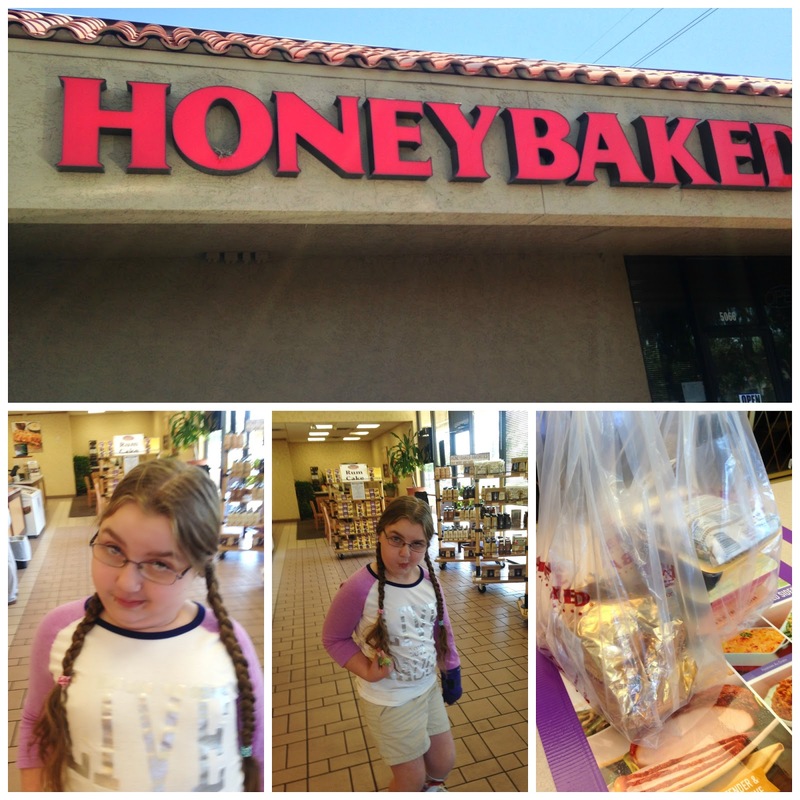 We are super lucky that we have a HoneyBaked Ham store and Deli close to our home! It's located in Glendale, AZ at 5066 W. Olive. Typically, the store is jam packed but we averted crowds! Yay. Perfect atmosphere for my child to practice her Top Model poses. Did you know that they sell more than ham? You can even pick up a turkey and side dishes. There are so many delicious sides. I opted to grab a ham (I mean, it IS HoneyBaked Ham after all!) and macaroni and cheese, sweet potato souffle and cinnamon apple slices. I do plan to get a turkey one of these times. I can only imagine how amazing they are! The ham. The beautiful, glorious ham. I literally sang "Ham! Glorious ham!" I am not kidding. My daughter thinks that I have lost it. I am pretty sketchy about frozen macaroni and cheese but theirs is so delicious! Insanely delicious. Look at that fat pasta and the creamy cheese sauce. The sweet potato souffle is absolutely heavenly. It's a perfect balance of sweetness without being overly sweet and the pecans added a nice touch of crunch and they were nice and thick. Cinnamon spiced apples and ham? Match made in hog heaven! Yum! Here's the "test" plate. Ha. Oh man. This was so good. I am also NOT exaggerating when I tell you that Emma ate FIVE helpings. FIVE. Yes. F-I-V-E. My jaw dropped each time she asked for more and believe me, I am more than happy to pile more on because it's not often she loves something that much. She is not a heavy eater so yeah.. WINNING! I am going to go back to our HoneyBaked Ham Store and buy more for Easter. Literally- super easy. No time in the oven. Eat the ham cold *sings to the angels*, pop the sides in the microwave, and a side salad and you have an easy, peasy and delicious dinner without all the time and energy used in the kitchen. Oh and they are so smart- how about a bean soup mix to use with your leftover ham? Yep! I had to have it! I have a few bits of fantastic news for YOU , my dear readers! First one is, how about some coupons? You click here to print them up. Now the second awesome part... the GIVEAWAY! Hurry and enter for a chance to win a HoneyBaked Ham Gift Card! Have you ever eaten Honeybaked Ham?